Condition: MINT NHMalagasy Republic, 1999 Cinderella issue. Composer Chopin s/sheet. Powered by Hip Turbo Lister The free listing tool. List your items fast and easy and manage your active items. 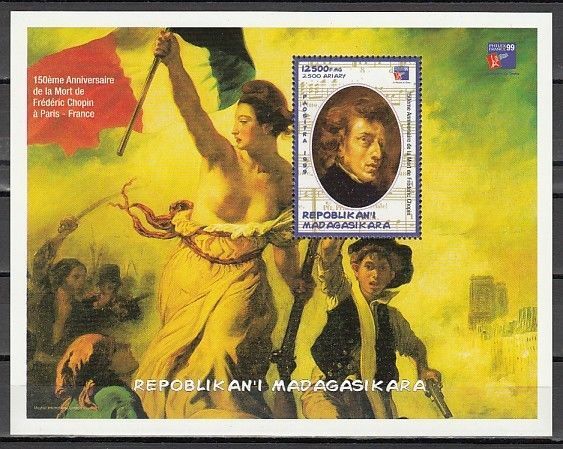 Condition: MINT NHMalagasy Republic, 1999 Cinderella issue. Composer Chopin s/sheet. 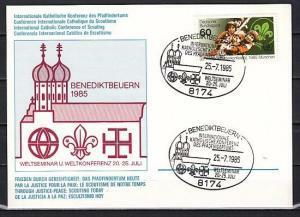 Germany, 1985 issue. 25/JUL/85 issue. Int`l Conference cancel on Postal Card. Aden-Quaiti, Mi cat. 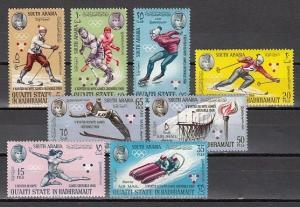 123-130 A. Grenoble Winter Olympics issue. Equatorial Guinea, Mi cat. 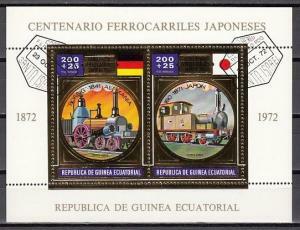 161-162, BL39 A. Japanese Railroad. Canceled. C.T.O. Manama, Mi cat. 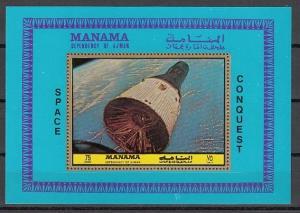 1088, BL217 A. Gemini 6 s/sheet.